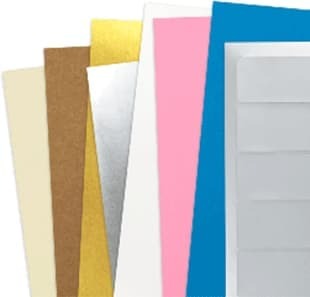 Choose from over 30 laser and inkjet sheet label material types, in addition to a wide variety of textured and unique materials perfectly suited for roll labels. Get free samples of materials best suited for sheets or rolls, and test before ordering. Need help? Call our expert support team for any material related questions! 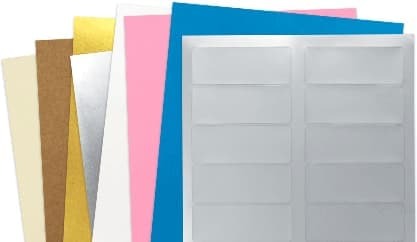 SheetLabels.com cannot guarantee that a material will be suitable for your application or printing method. It is your responsibility to test and be sure that the label material is suitable for your application, and that the material will work with the intended printing method. If you are unsure, please feel free request samples. If you have any questions, comments, or concerns please feel free to contact us at (888) 388-2502 or support@sheetlabels.com.